Well appointed 3B 3B unit less than a mile away from Ole Miss campus and minutes from downtown Oxford perfect for Rebel football games. Fully furnished unit includes: (3) full size pillow top beds, full gourmet kitchen, granite counter tops, in unit washer and dryer, stainless appliances and flat screen TV in common are. On property amenities include community pool, grilling area, on site parking and 24/7 gym! Great place to stay near campus. Conveniently located. Large, spacious clean rooms. Each with it’s own bath. It’s the apartment model so well decorated. Not a lot of dishes or coffee cups if you’re planning on cooking. Closets did have quite a few things stored in them. Overall good experience. Would stay here again. Thanks! 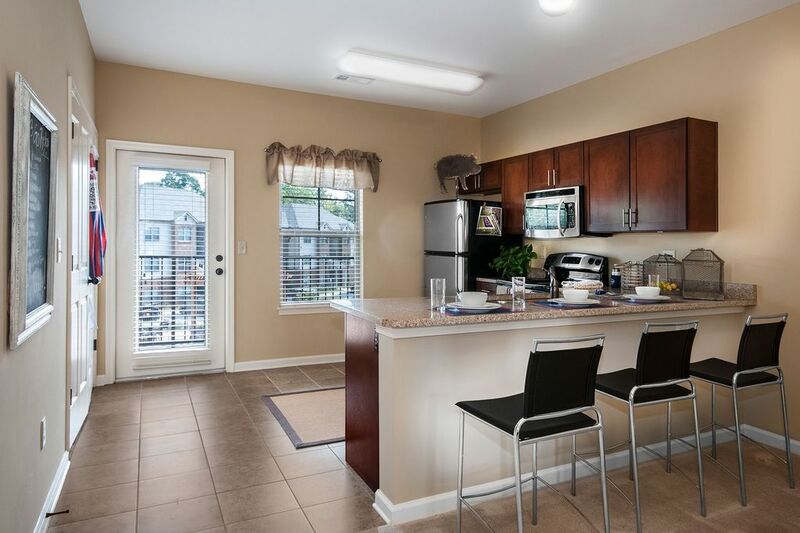 Overall - This apartment is a good value but not all that comfortable due to the small beds in each room and the minimal furnishings in the living room and kitchen. We recently stayed in this apartment and had a lovely experience. These are too pretty to be apartments! If you are in need of a spacious and clean place to stay, - and centrally located, this is ideal! It is nothing like what you see in the pictures. Don't expect a couch because there isn't one! We had only 5 towels and 2 wash clothes given to us. Wet towels were left in the washer and the knob to the dryer is missing. The a/c unit would not cool below 74 degrees. It was dirty when we arrive. The beds are very uncomfortable. I have emailed the managers requesting to be compensated for my inconvenience but I have not received a response.